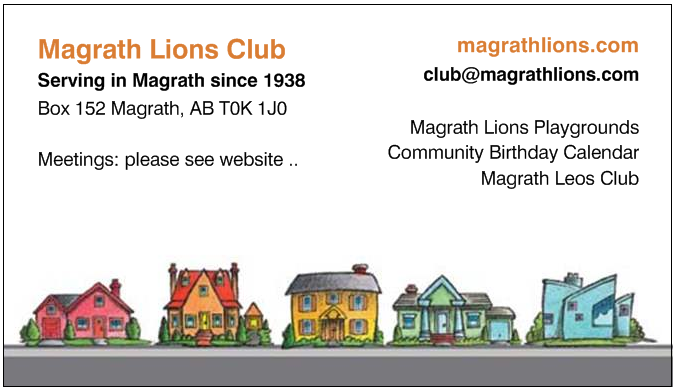 Welcome to Magrath Lions Club - Our meetings are currently scheduled for 1st Thu of each month Sep-Jun at 7 pm. Check our website (listed below) for locations and to confirm details. We look forward to another great year in Magrath!